Today we’d like to introduce you to Molly Stuckey. 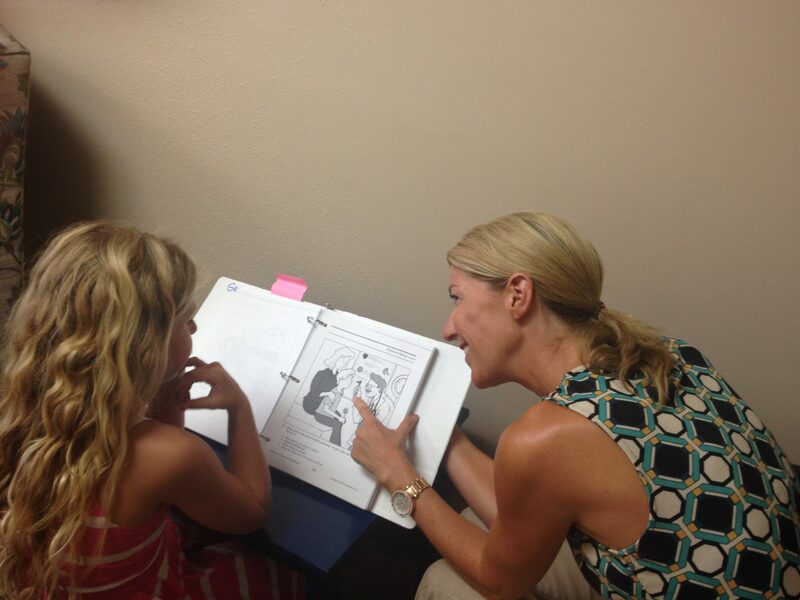 Coastal Speech Therapy was founded in 2005, by Molly M.A., CCC-SLP. She is a highly qualified Speech-Language Pathologist. She is licensed by the State of California, holds her Clinical Certificate of Competence (CCC) with the American Speech-Language Association, and possesses the Clinical Rehabilitative Credential. She has an extensive educational background, receiving her Bachelor of Arts from the University of California, Santa Barbara and her Masters of Arts from California State University, Long Beach. She is a board-certified specialist in Stuttering, Developmental Verbal Dyspraxia (Apraxia), Autism, Articulation Disorders, Auditory Processing Disorder, Reading Disorders, Phonological Processing Disorder, and Expressive Language Disorder. She is the author of a children’s book, Flexi Lexi Learns to be Flexible. She has published numerous parent-friendly brochures on the following topics: ADHD, Bridging Social Skills From Therapy to Home, Stuttering, Myofunctional Therapy/Tongue Thrust, Executive Functioning Disorder, Auditory Processing Disorders, Encouraging Spontaneous Communication, Developmental Verbal Dyspraxia, Articulation, Sensory Processing Disorders, and Autism Spectrum Disorders. Coastal Speech Therapy is contracted with numerous prestigious Universities in the field of Speech and Language Pathology. They offer fieldwork supervision for graduate level and SLPA students attending the following Universities: California State University San Marcos, Biola, Nova Southeastern University, Loma Linda, Chapman University, California State University at Northridge, University of South Carolina, and University of Pacific. They are in-network with Anthem Blue Cross, Blue Shield, and Health Net PPO plans. To say that the road has been easy would simply be untrue. It has been a struggle to balance the multiple roles I am responsible for such as: being an employer, owner, therapist, therapy dog trainer, home manager, mother of two, and wife. However, while growing pains are never easy, they are opportunities to show your perseverance, integrity, and dedication to your profession and most importantly, to yourself. Some of the professional hurdles I’ve jumped include: becoming “in network” with insurance companies, finding trusting professionals who know how to bill insurance ethically, training a therapy dog, and moving office locations on four occasions. However, with the help of my supportive, caring, and knowledgeable staff and loving husband, I have successfully overcome these challenges, resulting in a thriving, well-respected practice. Please tell us about Coastal Speech Therapy. 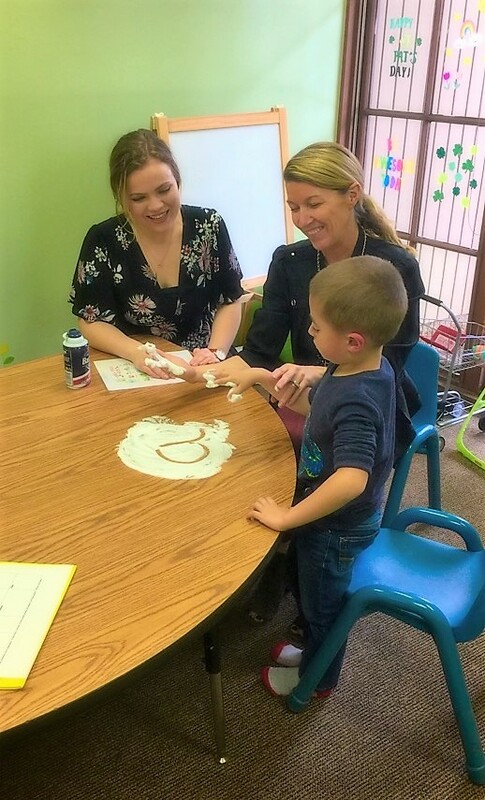 Coastal Speech Therapy has built our exceptional reputation in the community based on trust, integrity, best practices, and results-driven therapy. Many pediatricians, school districts, preschools, ENT’s, private schools, psychologists, and ABA therapists refer to Coastal Speech Therapy. 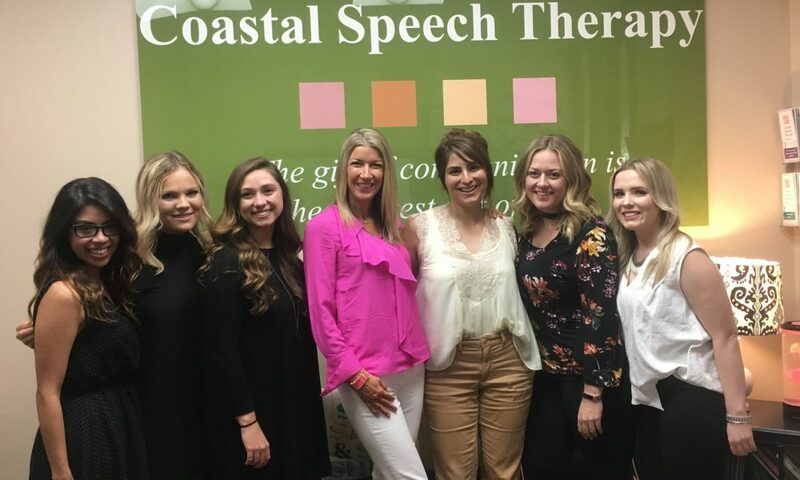 Gradually over time, with persistence, optimism, and a tremendous amount of hard work, Coastal Speech Therapy has grown into a well respected and established Clinic with exceptional clinicians and a very dedicated and caring office staff. Coastal Speech Therapy provides pediatric assessment and treatment for a wide variety of speech and language disorders. Customized and unique treatment plans are provided to each client depending on their specific and individual goals. We believe that therapy needs to be individually tailored and continually modified in order to meet the client’s needs. Therapy for the younger child is primarily play-based, helping the child to learn and to use language within functional activities. An older child may need a combination of various styles of therapy in order to address specific speech and language difficulties that may be impacting overall communication and academic performance. The following programs are some of the treatment methodologies that we specialize in at Coastal Speech Therapy: Social Skills Groups, Selective Mutism, Deaf and Hard of Hearing, Sign Language, Auditory Bombardment and Traditional Articulation Training, Floor Time Therapy, Tongue Thrust, Hodson’s Cycles Approach, P.R.O.M.P.T, Kaufman Treatment, Social Stories: Picture Exchange Communication System (PECS), Lindamood-Bell, Auditory Processing Therapy, Preschoolers Acquiring Language Skills (PALS), Visual Schedules, Stutter-Free Speech, and Fluency Shaping. While it wasn’t the easiest childhood growing up, I have very fond memories of staying at my grandparent’s farm in Dayton Ohio during the summers. Walking through the 100 acre forest with my sister, riding bikes through the barns, husking corn, eating my grandmother’s zucchini bread, and holding my sheepdog, Lanzo all night outside, underneath the trailer’s awning during a thunderstorm are some of my fondest memories. Additionally, my fifth-grade teacher, Mrs. Rowland taught me how to believe in myself. She gave me the gift of confidence and self-esteem. During my year with her, I enjoyed playing in the washboard band to senior citizens, releasing balloons which had positive messages on them, and playing with my best friend Erin Maloney. CONGRATULATIONS, beautiful daughter. What a lovely team you have assembled, after all the challenges. So proud of you, as is your grandmother, I am sure, reading your cherished memories, and watching over you from above.